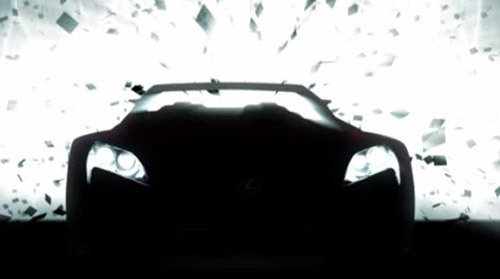 I imagine this would have been used as a video introduction to the vehicle’s unveiling at Frankfurt, and it’s hard not to get excited about this concept all over again. I can’t wait for the production announcement. 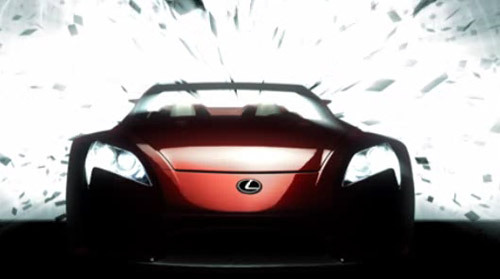 The Lexus LF-A Roadster is the latest car to be unveiled by our high-performance F-Marque division. Developed at Fuji Speedway and the Higashi Fuji Technical Centre, our two-seat supercar concept combines technological sophistication, leading-edge engineering and unparalleled refinement. To recognise the special role of Fuji in the project, the new “F” logo design integrates some of the most demanding corners of the Mount Fuji track. This is the first time I’ve seen it mentioned that the F-Logo actually incorporates elements of the Mount Fuji track right in the actual design. Top-notch.